In the endeavour to assist in meeting of the increasing energy demands worldwide, with the minimal negative environmental effects, ABB Company has created extra values for their customers with flexible and innovative solar energy technologies. Integration of the renewable energy sources has become the crucial element of the world energy revolution and the ABB Next Level strategy. 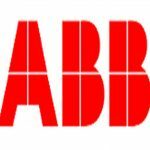 ABB has provided the trade chain “Ikea” with the possibility to fulfil their objectives set in the domain of the energy efficiency. ABB has supplied the trade chain “Ikea” with 20 innovative solar inverters TRIO-50 used for charging of the roof solar system in their leading department store in Singapore. The system is expected to generate 1.3 million kWh annually, which is the volume of renewable energy sufficient to supply more than 280 households. 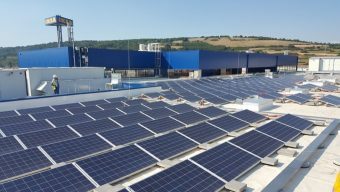 Installation of the solar panels on the “Ikea” department store started in March 2017, and the power plant started to operate in December 2017. With the construction and use of the said installation, “Ikea” expects to reduce electricity costs for 2.4 million dollars in the next ten years. 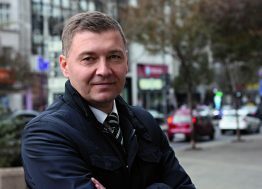 A few months before the realization of the Singapore project, a similar project was executed on the department store “Ikea” in Belgrade, at the area of 35,000 m2. Namely, in cooperation with the project designers and contractors, ABB has realized delivery of the complete electrical equipment required for electricity supply of the “Ikea” facility. 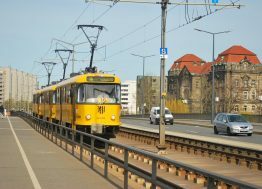 This equipment, apart from solar inverters, also included a transformer station of 10/0.4 kW, distribution cabinets in the building and rail distribution. Delivered equipment for the transformer station contained dry-type power transformers for distribution section of the transformer station and for the solar power plant installed on the roof of the department store, air-isolated medium voltage plant UniSec, and the certified electrical distribution cabinet Pro E Power, planned for the electricity of up to 6300 A. 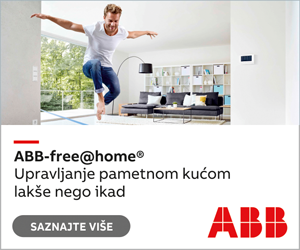 The arrangement of the solar panels and configuration of the roof of the “Ikea” department store in Belgrade has influenced the decision of the project designers and investors to take ABB invertors model TRIO-50, of the power ratings of 50kW. The said solar power plant includes 6 installed inverter units, envisaged for outdoor installation with IP65 protection. All units contain protection and power switch equipment, on both, DC and AC side, and their terminal boards are separable, which enables easier horizontal or vertical installation. The housing is designed for outdoor use which enables normal operation regardless of the weather conditions. 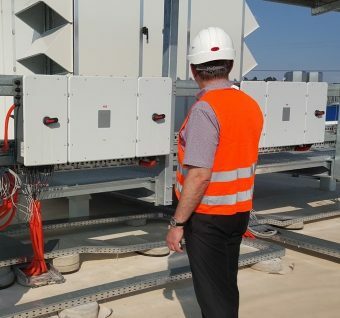 The construction of the said inverters is such that it does not require opening during the process of installation and connecting. It is done with the pre-set connection box to which all planned strings are connected. Integrated protection also contains AC and DC load break switches, in accordance with the international standards, and with different configuration options. All electrical connections (fittings and connectors) can be locked. 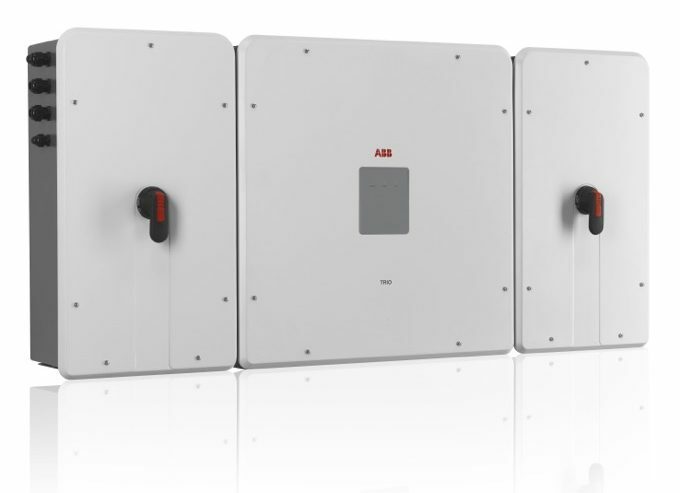 ABB inverter model TRIO-50 has a very high-efficiency degree (98.3 %) in the wide range of powers. It is also characterized by a wide span of the input voltage, topology which does not contain a transformer, as well as extremely fast and accurate MPPT algorithm for monitoring and improvement of the process of power production in real time. Straight efficiency curves enable high efficiency in all output levels, thus providing constant and stable performances in all levels of the input voltage and the output power. 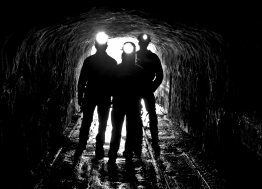 Also, there is a possibility of connecting external sensors for supervision of the working conditions. ABB solutions related to solar systems enable corporate customers, such as “Ikea”, to make both financial and operative savings with the reduced emission of harmful gasses. According to the “GTM Research”, the costs of installation of commercial roof solar power plants have been reduced for almost 30% in the last five years, mainly owing to the reduction of the price of solar panels. It is exactly because of the “Ikea” company, and owing to the quick economic feasibility of the solar energy, that the rest of the corporate world has been increasingly interested in and preparing for the construction of the solar power plants. Designed in such a way to combine the supreme parameters and the price competitiveness in the central inverter, with the portability and flexibility of installation of the “string” inverter, TRIO-50 will continue to spread on other roofs of the trade chain “Ikea”. Four decades of experience that ABB has gained in development and implementation of inverters, with the offer of the solar plants that moves from small single-phase inverters to three-phase string central inverters, has made this company the global leader in solar systems that produce energy without harmful emissions, contribute to alleviation of climate changes and reduce dependence on the limited conventional energy sources. You can check their offers of solar inverters at the following link: https://new.abb.com/power-converters-inverters/solar. 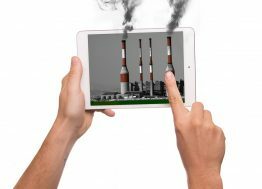 This article was published in the tenth issue of the Energy Portal Magazine SUSTAINABLE ARCHITECTURE, in July 2018.